It wasn’t all that long ago that the world seemed to have its pick of Zorro-related reboots, with the race to find the right project rivaling only that of churning out a proper Frankenstein film or TV series. Some people, like USA Network execs, wanted a modern Zorro who protected the people of a little hamlet known as Los Angeles. Fox opted for a whole new setting for the masked vigilante, while sticking to his ethnic roots: Its Zorro Reborn film would flash forward from the early 20th century to a post-apocalyptic world that is neither California nor Mexico. It would also star Gael García Bernal, because Zorro should at the very least always be Mexican. 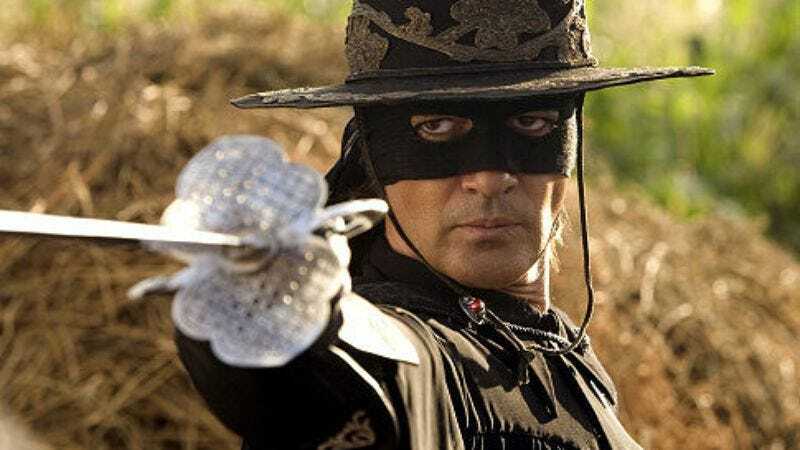 Both of these projects stalled for a while, but The Hollywood Reporter has just shared the news that Zorro Reborn is seeing renewed interest—Sobini Films CEO Mark Amin (Good Kill) has taken up the mantle of Zorro film producer. Amin will partner with Lantica Media to release the film, as Fox has dropped the project. Zorro Reborn currently has no director, and it’s not known whether Bernal is still attached to star. But with revisions and news arising every couple of years, by 2017 the movie could star the kid from Modern Family and be shot on Mars.